I have been inspired by many Pinterest recipes some with and some without success. 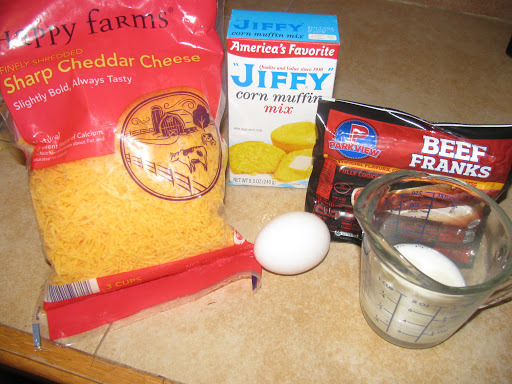 Here is my version quick, easy, and delicious. Keep reading for the printable recipe. 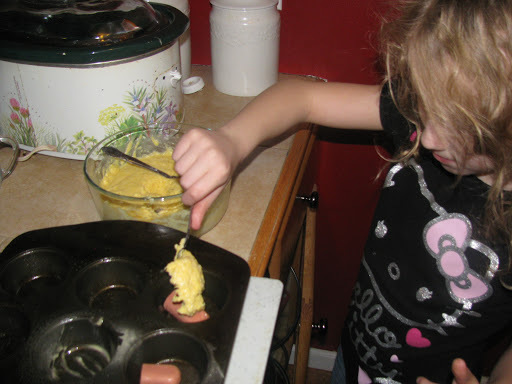 My lovely assistant is demonstrating putting the hot dog pieces into the muffin pan. 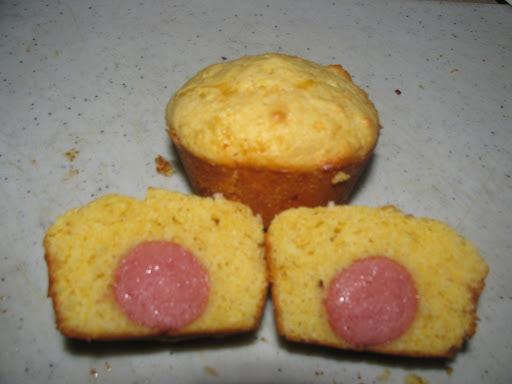 Cover each hot dog piece up with some batter and bake for 15 minutes. Voila! Let cool in the pan for about 5 minutes to avoid them becoming a crumbly mess . Was it a success? 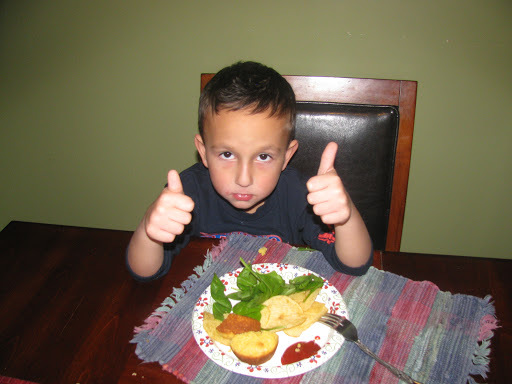 Let’s find out….. Two enthusiastic thumbs up from my boy-o-boy. He prefers it with no cheese. 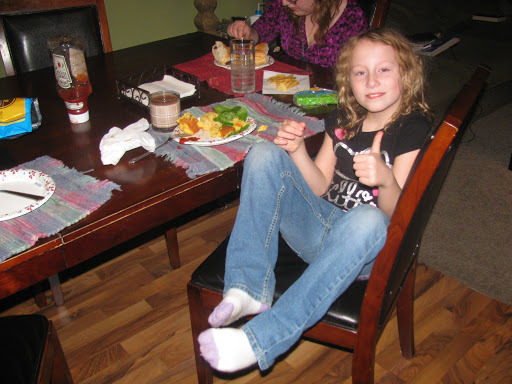 As for my Mells?…..
She gives it two thumbs and two toes up! She prefers hers with cheese. Like it spicy? Add some chopped Jalapenos to the batter. Want it more meaty? Go ahead and add more hot dog to each cup. Have fun making it your own! 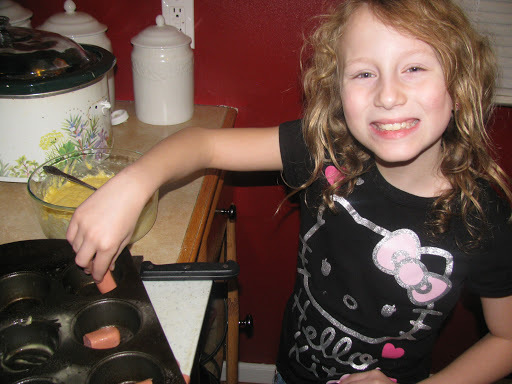 This recipe is economical, healthier than the fried alternative especially if you use turkey dogs. It is quick, and easy enough the kids can help! Makes a great on the go meal. Thanks for visiting! Those are awesome and look so yummy!! God bless! Yum! Going to have to try these! Great alternative to the processed frozen ones from the store we usually get! Always looking for easy recipes and less additives! Thanks! These look great! Especially for on-the- go college kids! (: Thanks for the idea!